There was a lot to look forward to during the 2018 Super Bowl. Would Pink sing the national anthem, despite having the flu? She did, and she crushed it. Would Janet Jackson make an appearance during the halftime show? She did not, even though she should have been the headliner. And, perhaps the biggest question of all: Would Justin Timberlake perform with a Prince hologram? He did not. 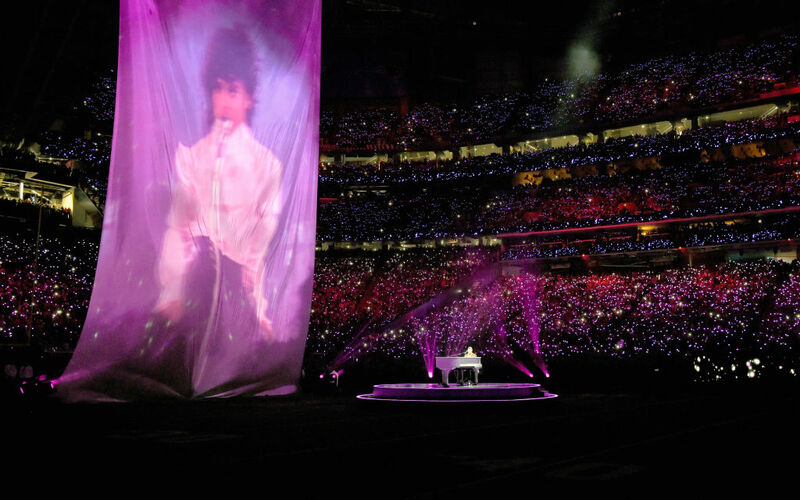 But he DID perform with a Prince projection, and Twitter immediately turned the moment into a meme. After the Super Bowl (and a ridiculously emotional episode of This Is Us), Justin Timberlake stopped by The Tonight Show to recap everything that happened with BFF Jimmy Fallon. He spilled all of his feelings about honoring Prince during the halftime show. JT’s performance included singing “I Would Die 4 U” with a Prince projection and projecting Prince’s signature Love Album Symbol on the city of Minneapolis. Despite their lyrical beef, it sounds like Justin Timberlake’s tribute came from a place of love and respect. Watch Justin Timberlake’s full interview with Jimmy Fallon below. We appreciate the thought and agree that Prince is the best. But given how outspoken Prince’s friends and family were about NOT using his image, maybe stick to just covering the song next time, Justin.